It’s time. The Deep Learning for Computer Vision with Python Kickstarter is LIVE. The Deep Learning for Computer Vision with Python Kickstarter is officially LIVE! Remember, there are only a handful of early bird spots at the reduced prices — you’ll definitely want to act now if you want to claim your spot! Thank you so much for being supportive of myself and the PyImageSearch blog. One Response to It’s time. 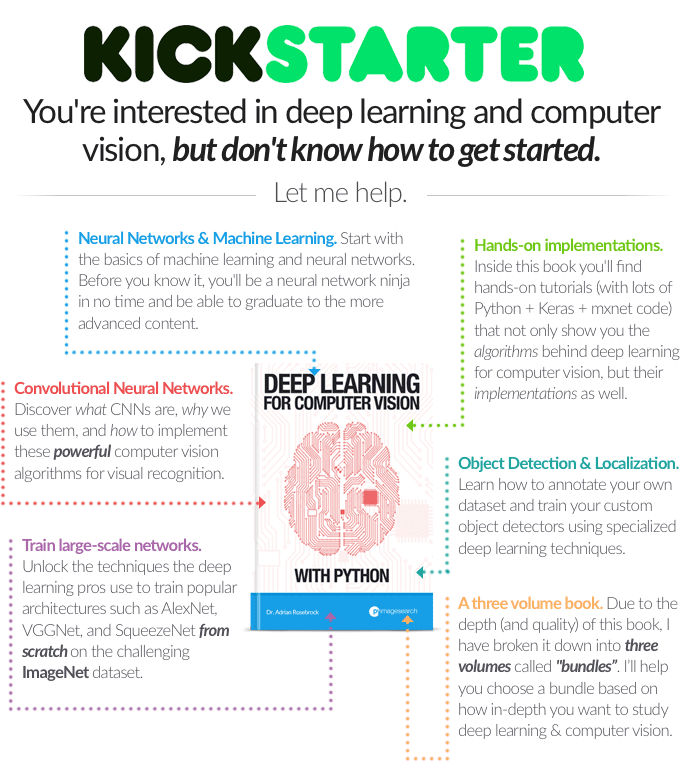 The Deep Learning for Computer Vision with Python Kickstarter is LIVE.